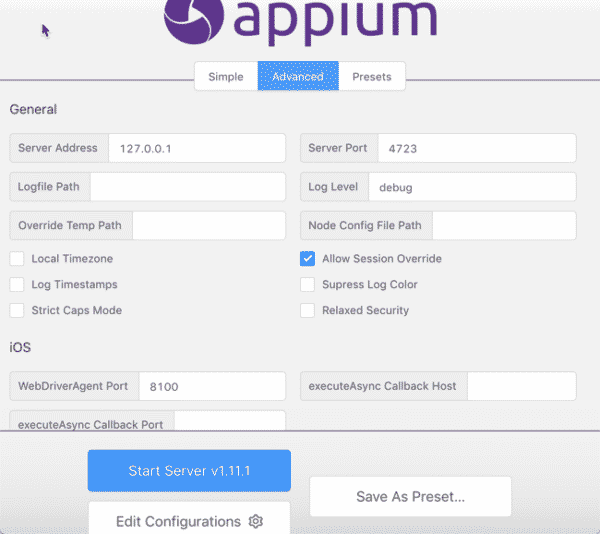 Appium Tutorial 2019 Edition is ready to all testers! 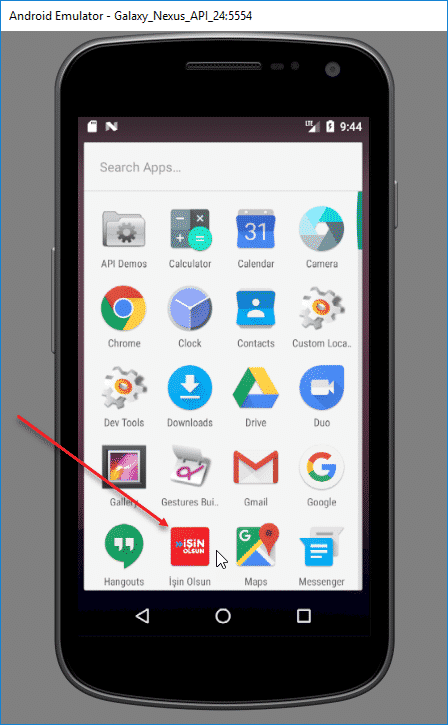 I wrote a very comprehensive Appium Start Guide on 6t May 2016 and now it is time to write an updated Appium Tutorial. 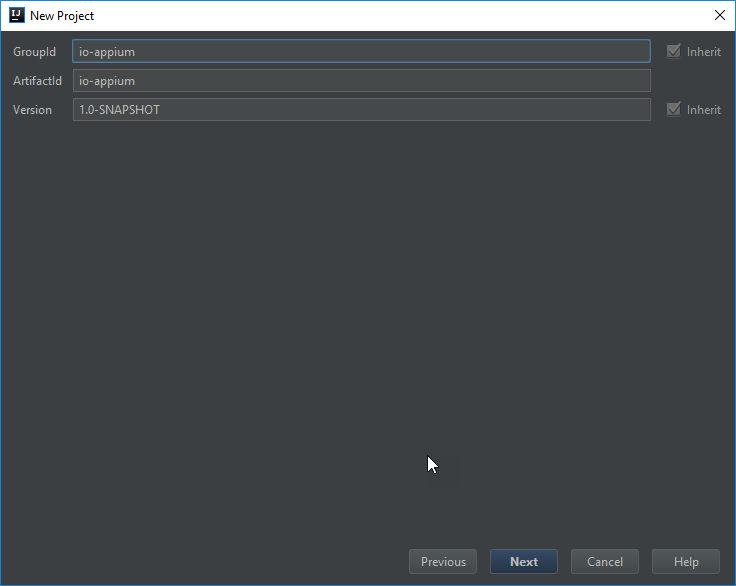 I will use Appium Desktop and Android Studio to create a sample mobile test automation project for you. After that, we will continue for Advance Appium Tutorial series. First, we need to do a proper Appium Installation. Alright, Let’s start! Installation steps and configuration settings have described in this article at step-4 and step-5. For MACOS users please visit the below article for all installation needs. 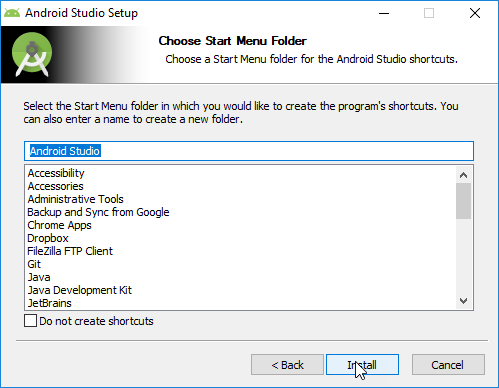 You need to go to https://developer.android.com/studio/index.html and install Android Studio. After that, apply the following steps. Click the “Next” icons and finally click “Finish“. 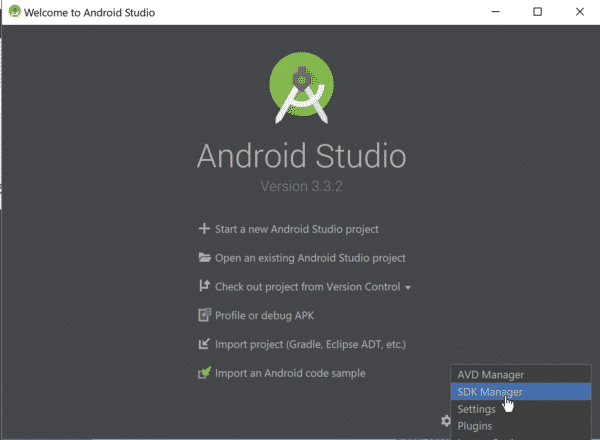 Click “Download Android Studio For Windows“. Select all options and click the next button. 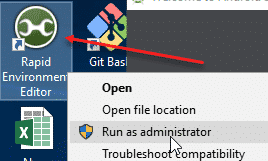 Select your directory or keep the default and click next. 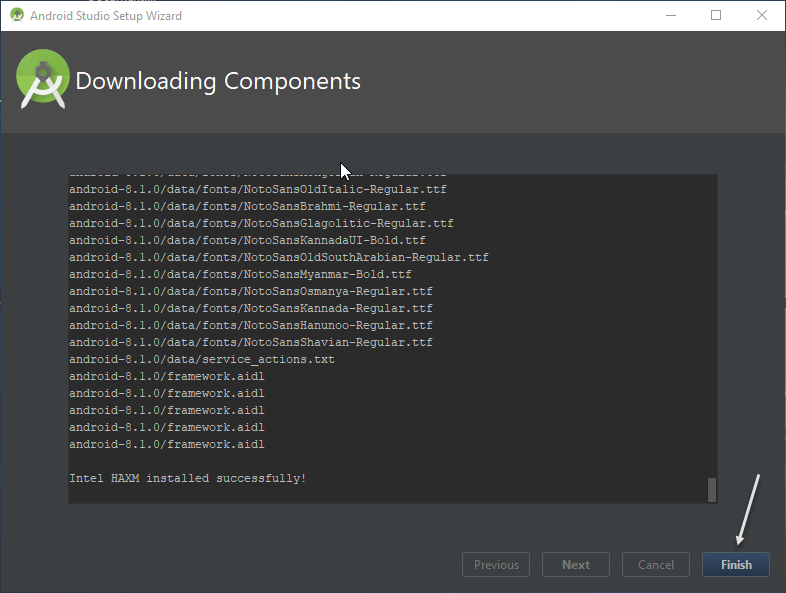 and click install to start the installation process. 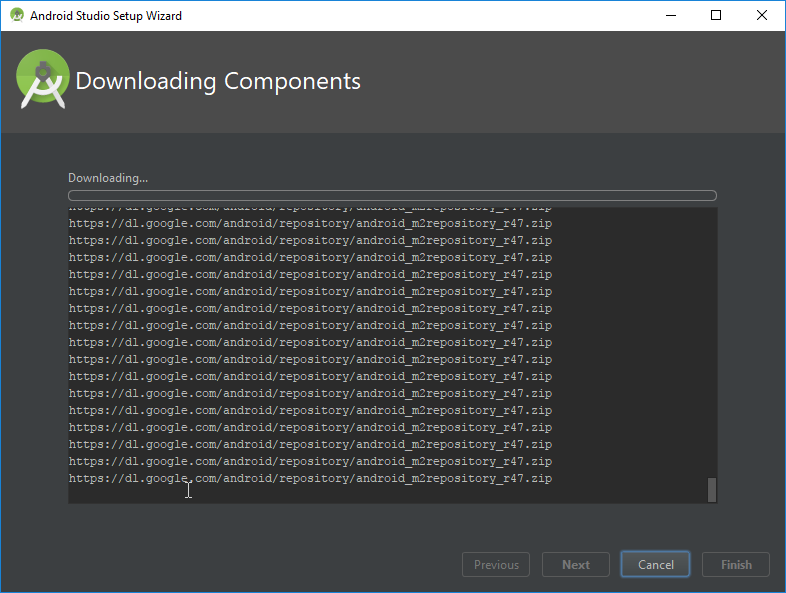 It is my first time to install Android Studio and I selected “Do not import settings” option and clicked the OK button. 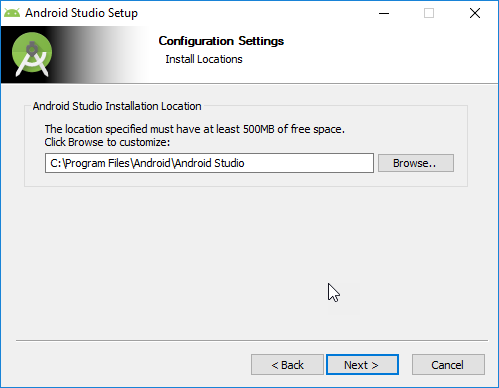 I installed the Android Studio with standard settings and configurations. 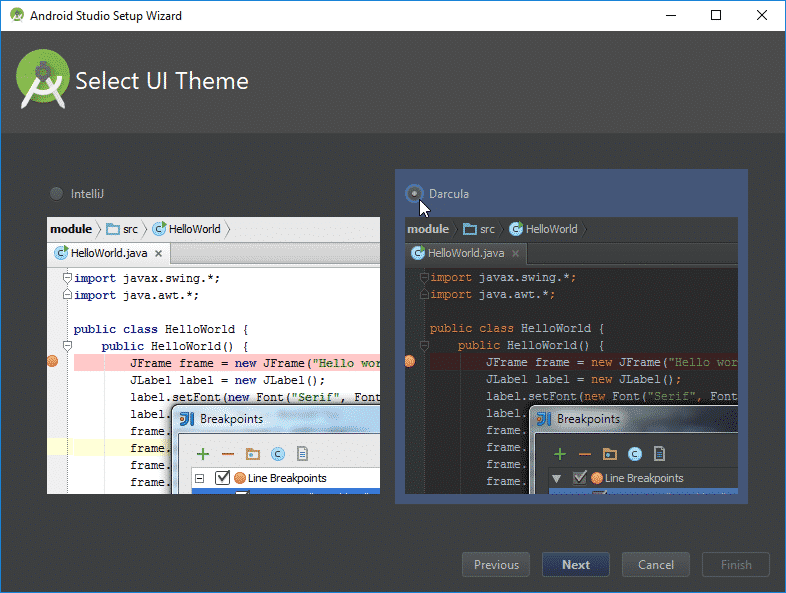 Select your UI Theme. I prefer Darcula because it is better for the eyes. Click “Finish” button and install the required tools. Wait until all libraries download and installation finish. After all these steps, click the finish button. After clicking the “Finish” button. 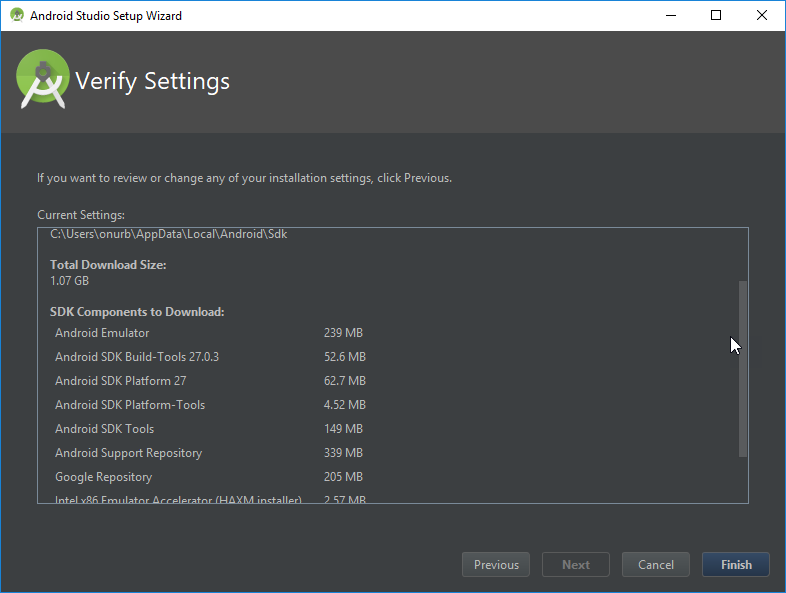 Go to “Configure” > “SDK Manager” to get SDK information. 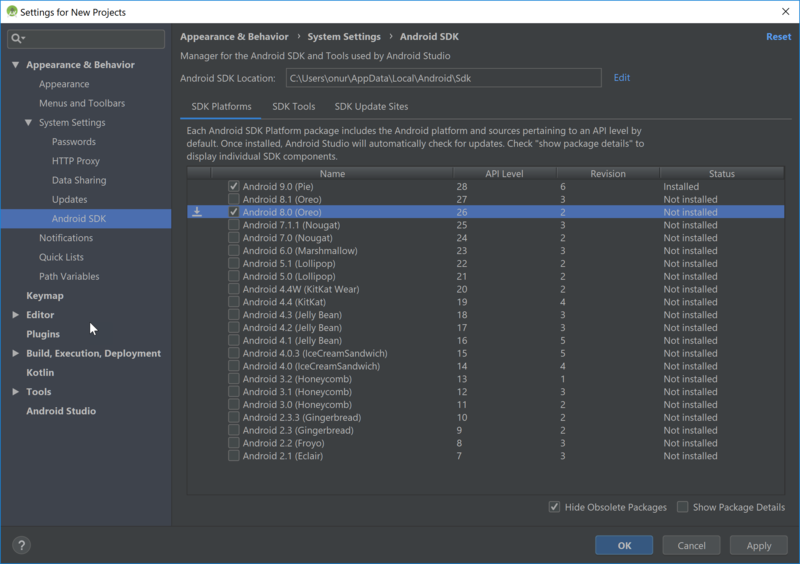 It is required for Android SDK path settings. 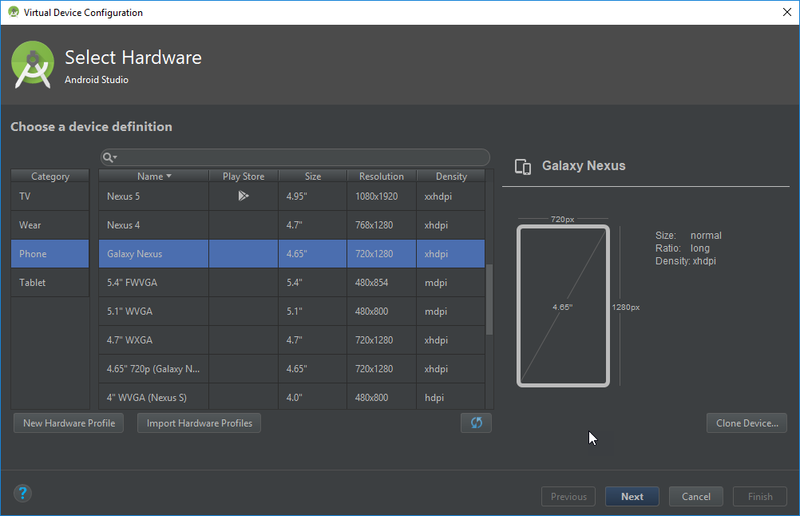 Select your device’s or emulator’s Android API level (Version). And select the required tools as shown below and click “OK. Click the finish button and continue. After the installation of required tools, go to SDK Manager page and copy SDK path as shown below. Download RapidEE tool and install it and open as administrator. 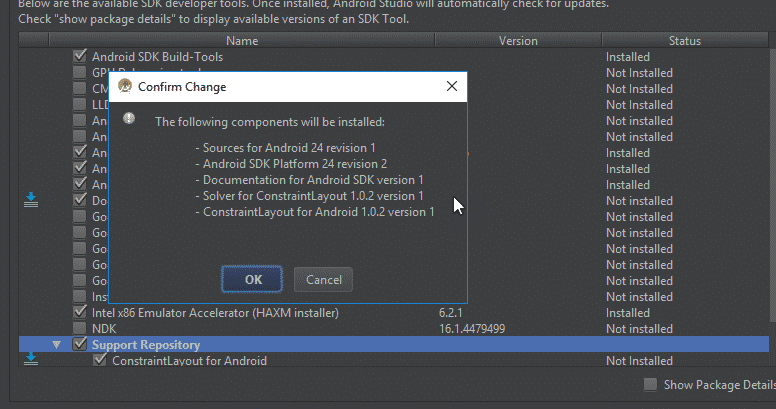 And then add ANDROID_HOME variable and its path should be Android SDK’s path. Also, check your JAVA_HOME variable. JAVA_HOME should equal to JAVA SDK’s path. Then, you need to add required Android tools and JAVA JRE paths to your system path as shown below. After that, check your settings and installations. Open a command prompt window and type “sdkmanager –list” command as shown below. 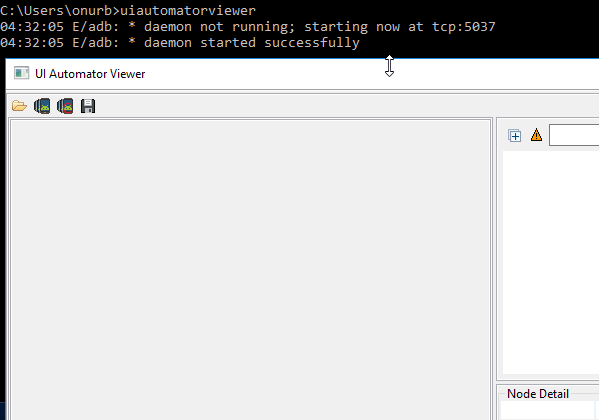 and type “uiautomatorviewer” to check uiautomatorviewer is working properly. Then, create a sample project in Android Studio and then click the link as shown below to install missing libraries. After installation, click the Finish button. After installing missing libraries you will see the device and little and sweet android icon. 🙂 When you click this icon, you will open android virtual device manager. Let’s create a virtual device. I will also explain how to do mobile automation with a real device too. Don’t worry. 😉 Click to “+ Create a Virtual Device” button. Then, select a virtual device in the device list. 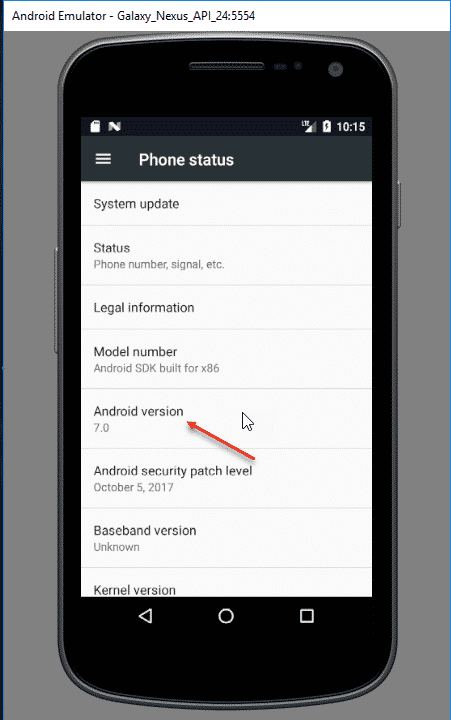 In this example, I selected Android 7.0. I have also a test device and its version is also 7.0 but you can select any of them. Click the download link and download the required libraries for the selected version. After downloading the required libraries, click “next” to continue. 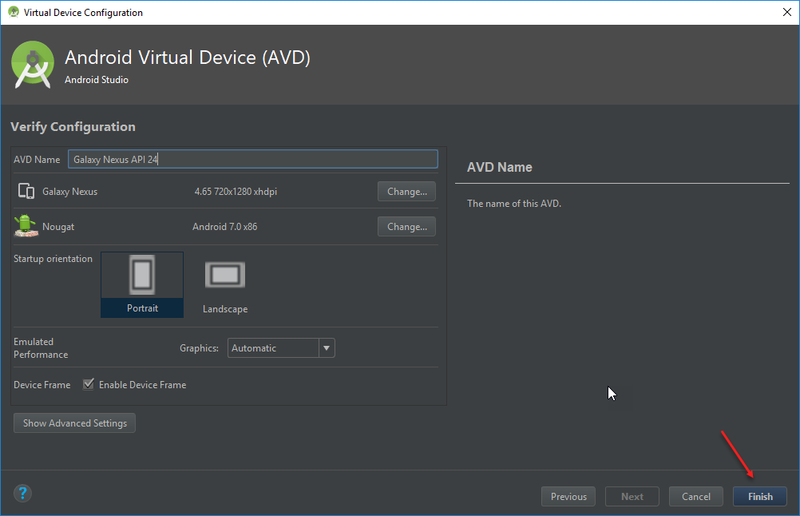 Check the latest settings and give a name to your Android Virtual Device (AVD) and click Finish button. Then, click the run icon and launch your device. You will see the selected AVD on your screen as shown below. 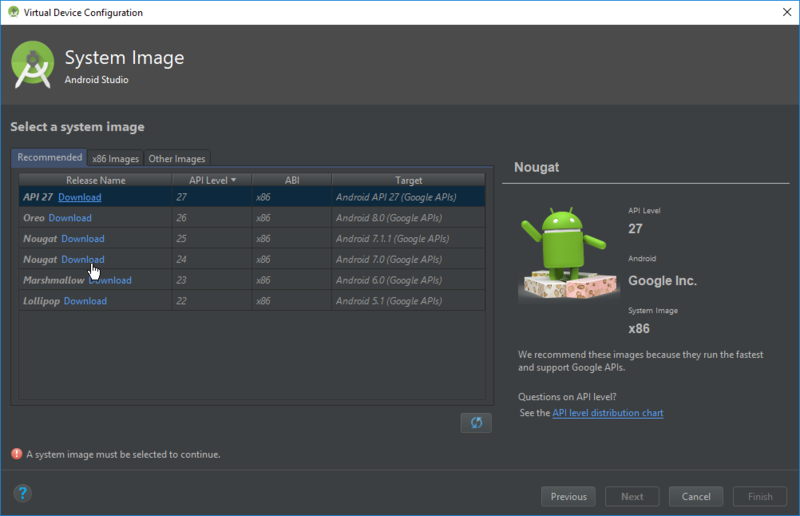 Until now, we installed JAVA and Android related libraries and did their settings and configurations. Now, it is time to download Appium. 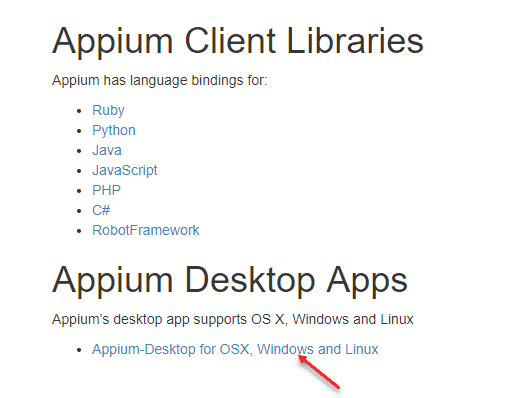 Go to http://appium.io/downloads.html and click “Appium-Desktop for OSX, Windows and Linux” link. 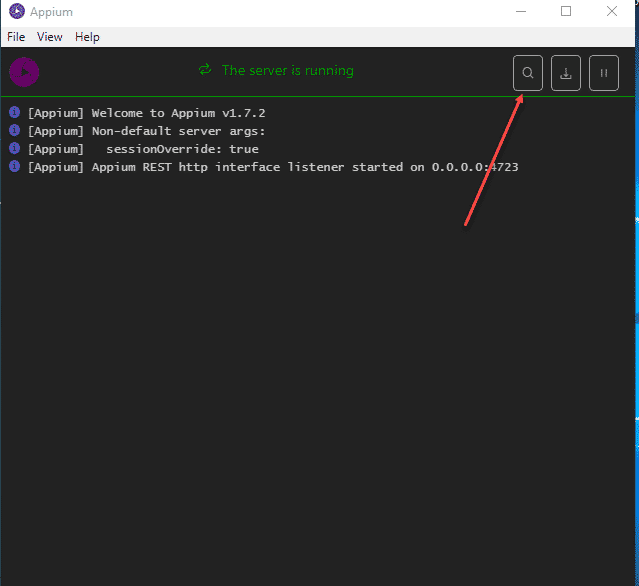 When the installation file downloaded, click run and start to install appium desktop. 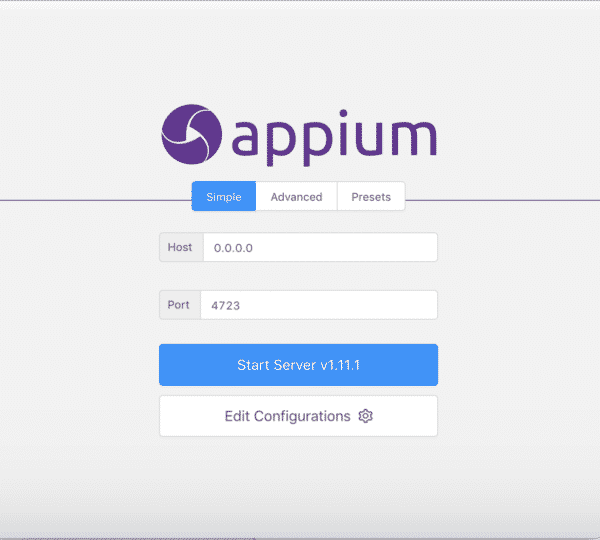 When installation finished, double-click the appium icon and open the appium server as shown below. Let’s click the “Advanced” tab and change the Server Address as “127.0.0.1” and click Allow Session Override for override session when there will be problems and click “Start Server”. If you will use a real device and then use “0.0.0.0” for “Server Adress”. Give the required permission to Appium Server. You will see the server up and running. 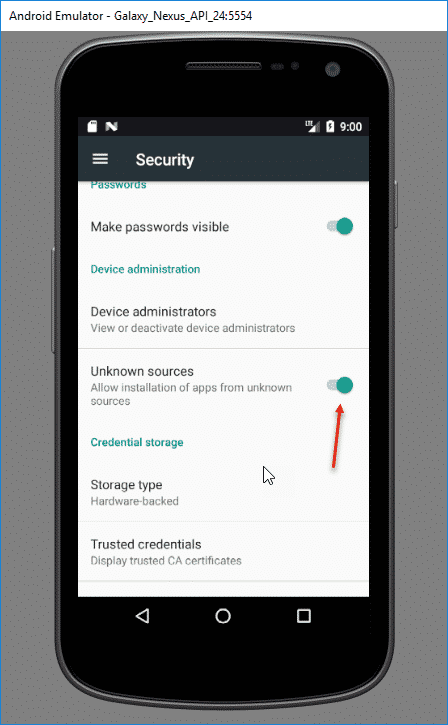 Let’s go to your android virtual device’s security page and give permission to install unknown sources as shown below. 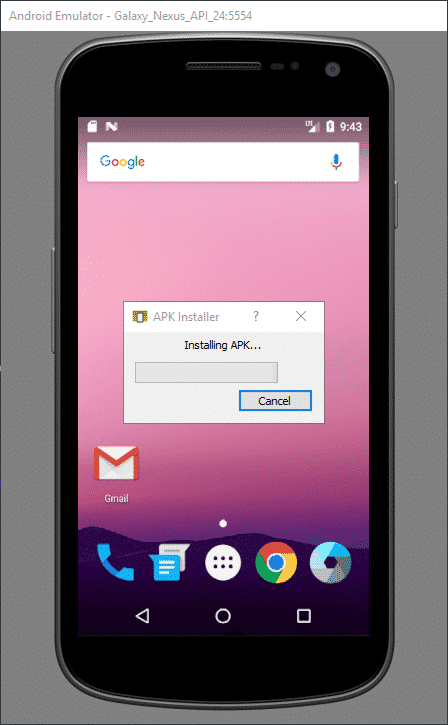 Download a sample .apk file from APKPure. In this article, I will use our blue-collar recruitment app “İsin Olsun” as shown below. 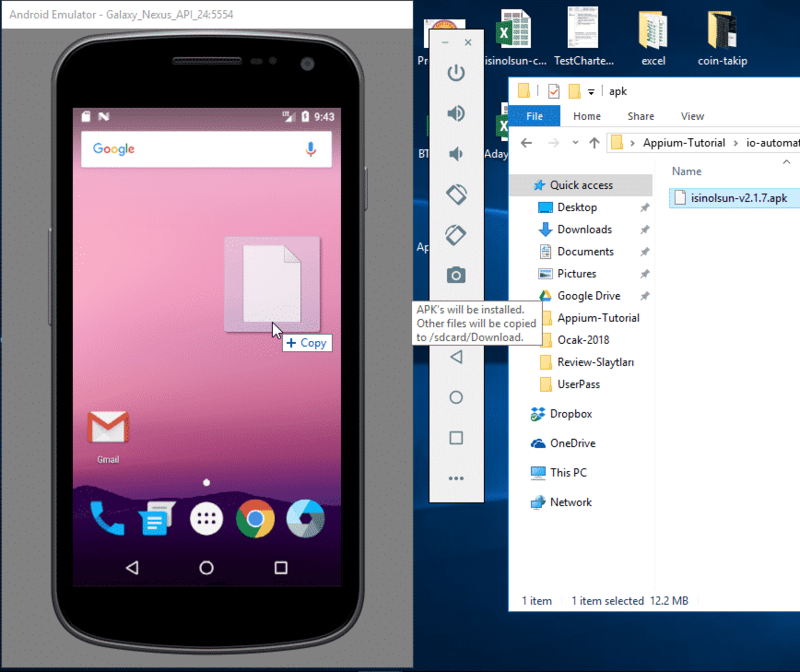 When the .apk file is downloaded, drag and drop it into your AVD as shown below. But for our application, our starting activity is splash activity and it is not easy to catch it. So I need to find another way to get the first app activity. I downloaded APK Info app and dragged-dropped to AVD and installed it. Then, I opened the app and find our application “İşin Olsun“. When I pressed long to app icon, I saw a menu and clicked “Detailed Information“. Note: You can also install APK Anaylzer if APK info app did not work. You can easily find activities and all details with this application. Then, open a command prompt and write “adb devices” command to see connected devices and get the device ID as shown below. Go to your AVD’s setting tab and check your AVD’s Android Version as shown below. We will use these settings in our test project. 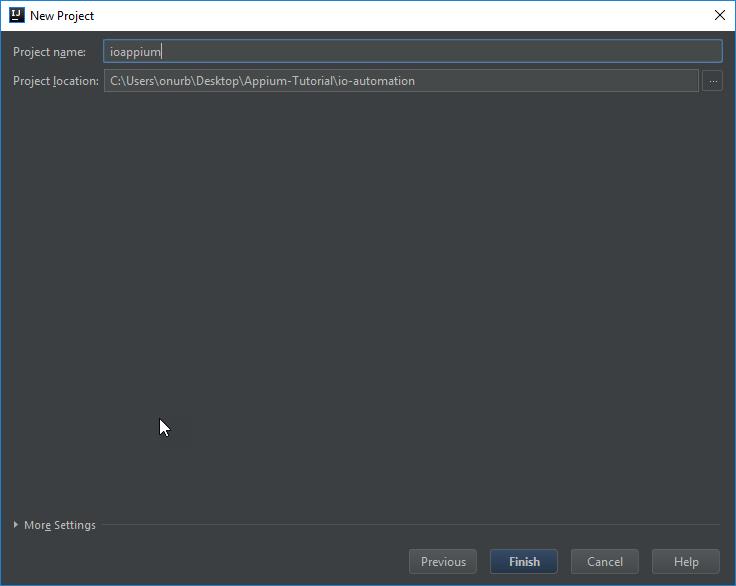 Then, open IntelliJ IDE and create a new project as shown below. First, select Maven and click Next. Then, write your project’s GroupId and ArtifactId. You can write the same this as shown below. It does not affect anything, just naming. Then, give a name to your project. Then, click “Enable Auto-Import” at right bottom corner. Go to mvnrepository.com website and get all frameworks lastest dependency information. We will use TestNG, Appium, Selenium. Our POM.xml will look like as below. You can see appium’s, selenium’s, and TestNG’s dependencies. Create a new Java Class as shown below and give a name to your class. 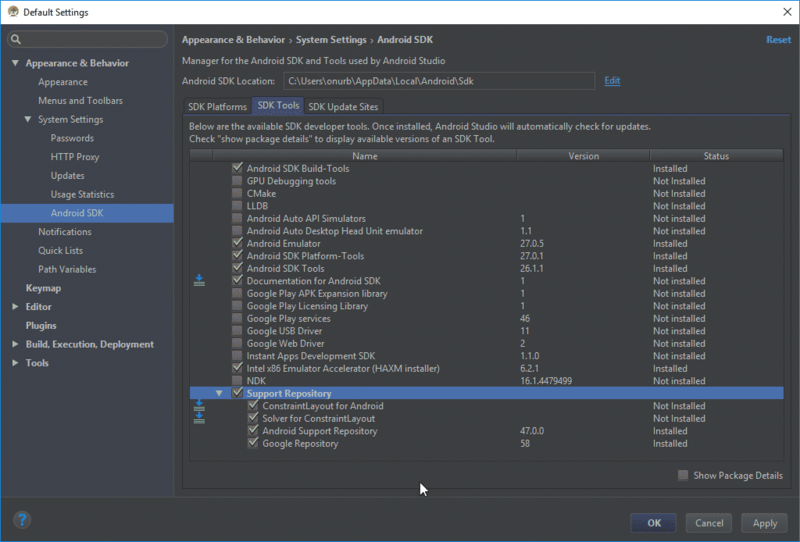 Then get your device’s information from the android studio as shown below. Then, go to the server and click the magnifier icon to open the inspector. 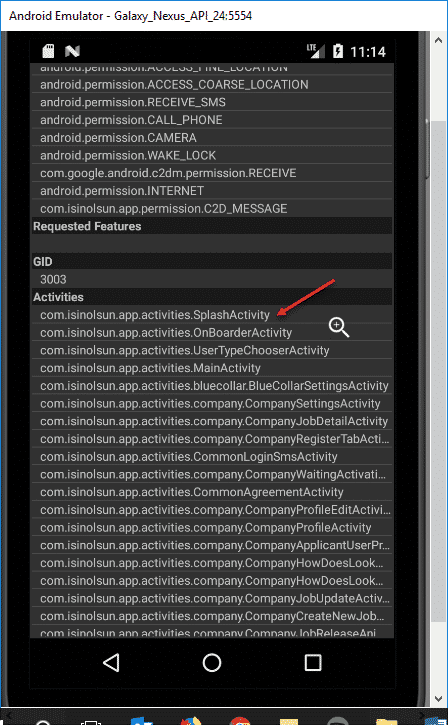 Then, start to enter the capabilities of your device as shown below in the inspector. Also, you can save these settings and use them later. 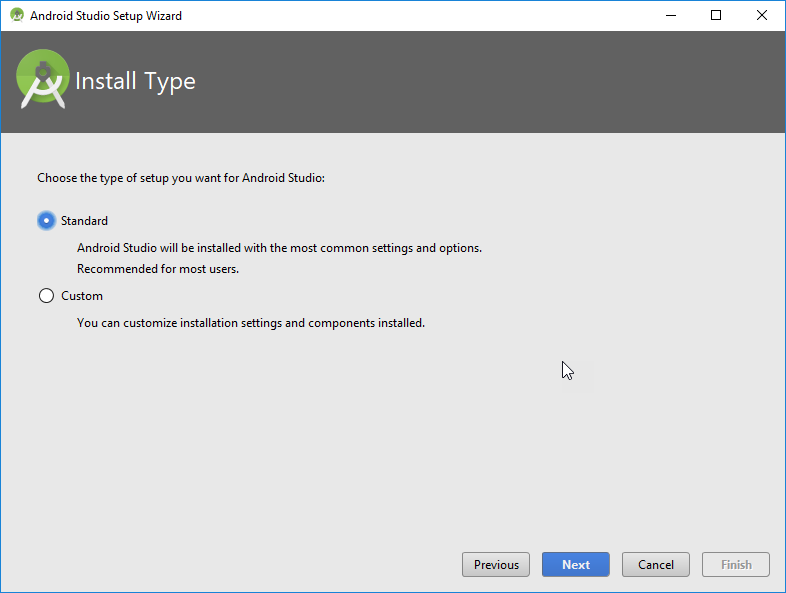 and click “Start Session” to start the inspector session to get your mobile elements ids. Get a mobile element’s id’s as shown below. We will use them for our first mobile automation project. After all of these steps, we need to write our test automation code. Connect your real device to your laptop via USB port. Go to Settings > Developer Settings and enable USB Debugging option. 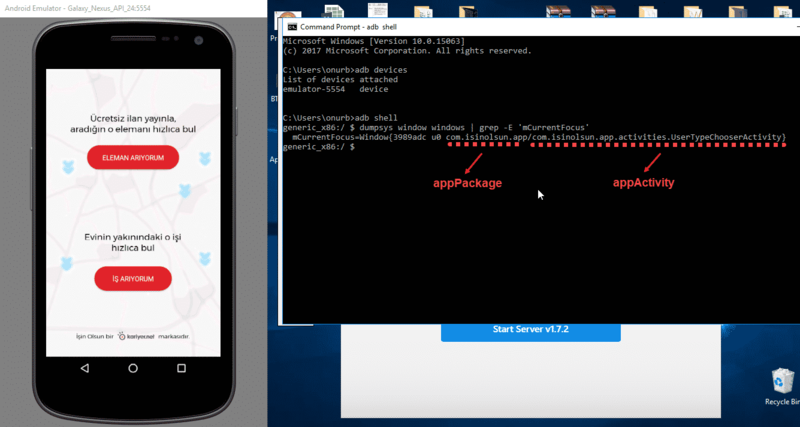 Open command prompt and type “adb devices” command and get your device ID. It is time to write some code for our Appium Tutorial. The test code of the project is shown below. I added inline comments. The most critical part is DesiredCapabilities, the rest of the code is very similar to Selenium & TestNG test automation codes. Also, you can find this project on GitHub. 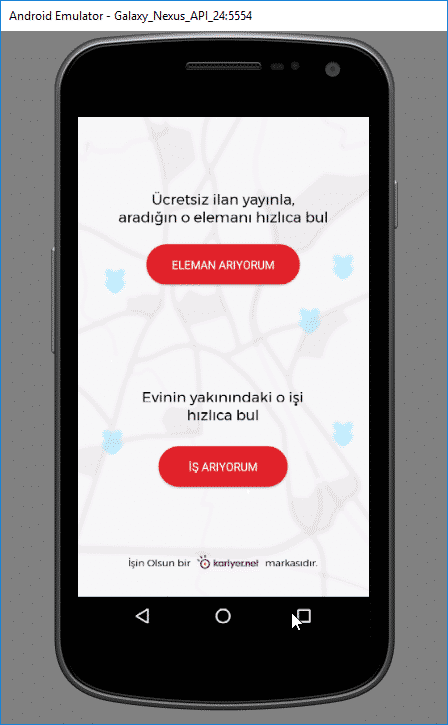 Below code opens İsinOlsun app, skips splash screen, clicks “job search” button, then accepts notifications and then clicks the second job on the main screen and that’s all. 🙂 It is easy because it is our first test case. That’s all for this Appium Tutorial. I hope you successfully installed and configured all settings and run your mobile automation code. If you have any question please write a comment, me or another expert will help you. Now, you can learn Appium Parallel Testing and How to Setup your Own Wireless Mobile Device Farm! Do you want to learn Appium Actions such as Tab, MultiTouch, Press, Swipe? Thanks Onur for your quick response…i will check and let u know. And i am very excited to perform http://www.swtestacademy.com/appium-parallel-tests this article at my end. 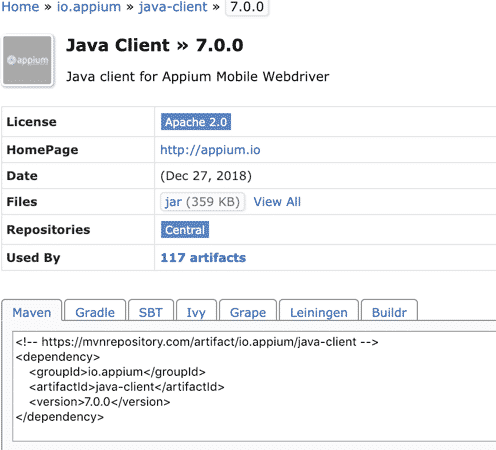 As appium going to release Java client 6, can you please share the codes for gesture handling like scroll,swipe,zoom,pinch,page scroll, swipe without using objects etc? I am super busy Siddharth but I am so happy that Ahmet Samet Baltaci will prepare a document and we will share it on swtestacademy.com. 🙂 Thanks Ahmet. I have some issues trying to do the drag and drop. Would you please try below code snippet? Could you please explain if I may be doing something incorrectly causing this difference and if so, could you also please let me now what I need to do get the same information as in your document? I just noticed that the 2 comments I left have been removed by moderator. 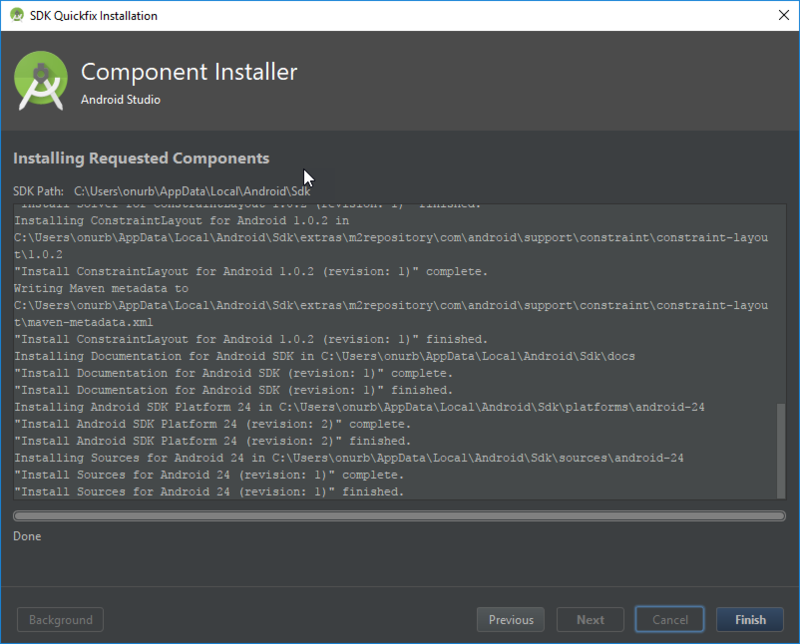 Since the queries I posted are related to issues I am facing while installing the Android Studio following the instructions in your blog, would you please let me know if you want me to post them again? Your problem looks like a bit configurational and device related. Try to do a setup with administrative rights. 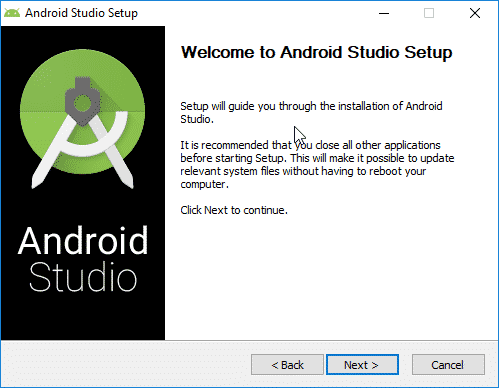 I think I resolved the issue by clearing the contents of the directory “C:\Users\automation\AppData\Local\Android\Sdk” and reinstalling. Thank you so much for replying patiently to my queries. It is 1st time that I have seen blog authors take time to respond and that too so fast. Thanks also for pointing me to the stackoverflow site. 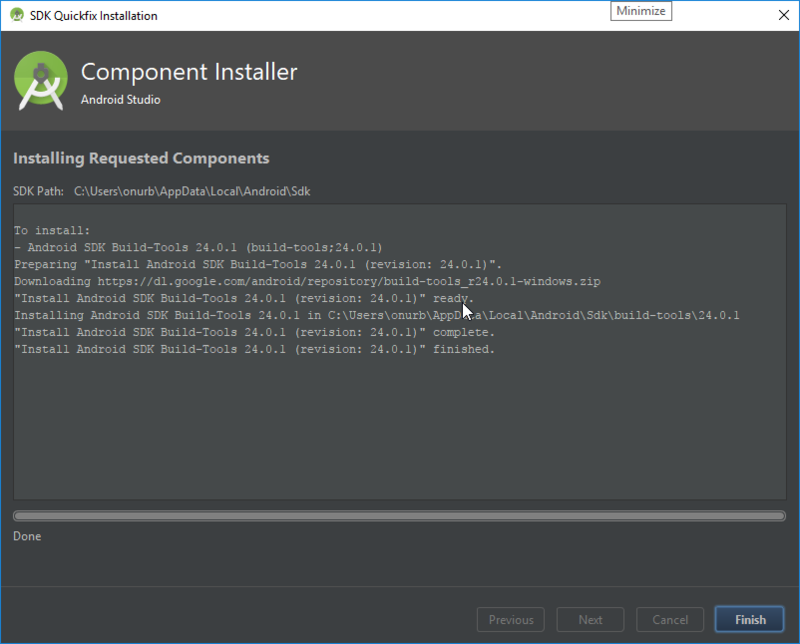 Currently I am continuing with installing the 2 SDKs that did not get installed in the original, which I am doing individually – each taking hours. Thanks for sharing very clear and easy to follow instructions. You are very welcome Satyasai. There is a small typo. The “-list” in the command “sdkmanager -list” needs to be “–list” with 2 dashes instead of 1 dash as in “sdkmanager –list”. I noticed the 2 dashes when I viewed the screenshot from close. Great! I hope you did all the steps. Good luck! 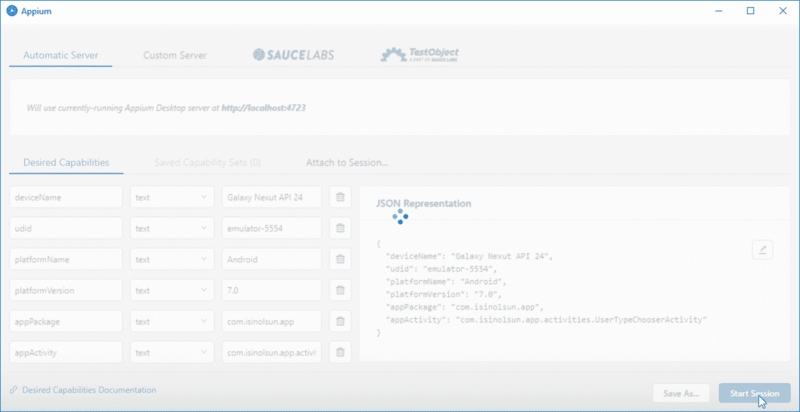 An unknown serverside message…cannot the app package. I see the app in emulator close or somehow crashed! ..” Security exception: Permission Denial..”. Great! Thanks Masha to share the solution. At that time we do not need to get all the things. That’s why SDK only version was enough. Yes Sukhpreet, you are totally right. I could not find it anymore and that’s why I downloaded the full version and prepared a new article for this. Thanks, Lily. 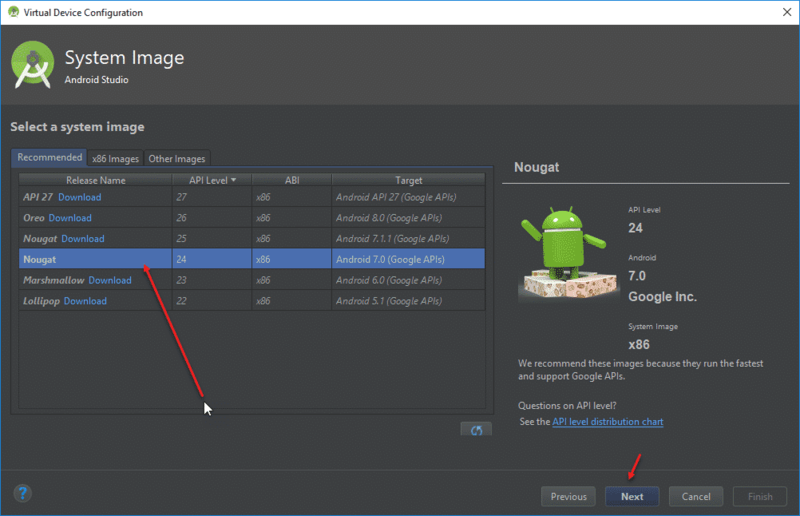 Did you try this SDK version? 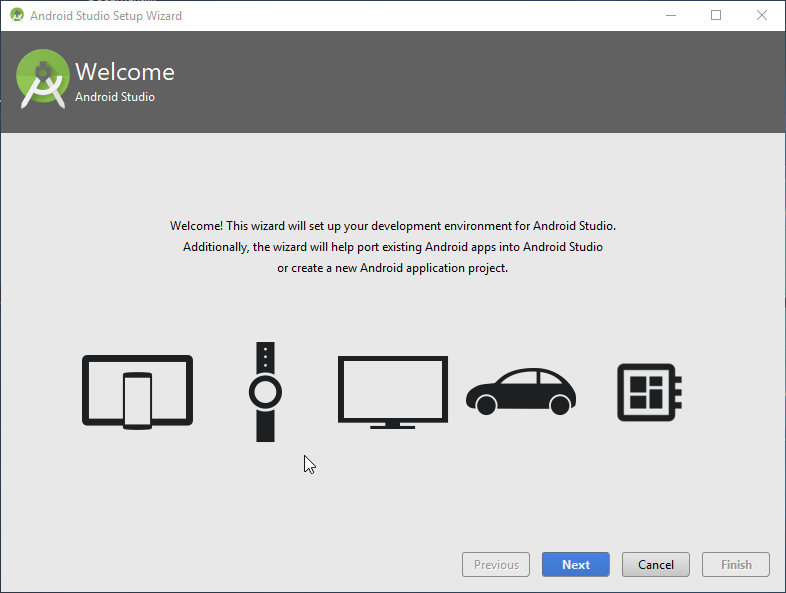 And also how do you create an emulator with this without Android Studio installation? I would like to hear your experience. I thank you very much for your contribution. Great article! I tried following step by step on my Mac and got Appium installed (latest ver 1.8.2). I’ve also cloned the sample test project and fired it up in IntelliJ. 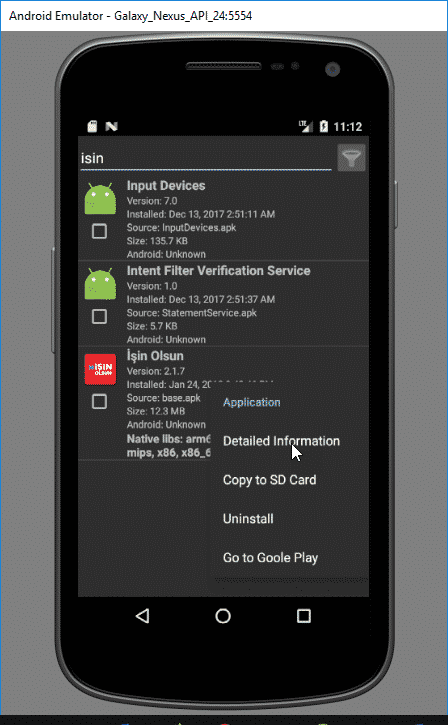 It would start the İşin Olsun app on both virtual and physical devices, but timeout when waiting for UI element to become visible. I played around with the timeout value of the driver and increased to 1000sec, still the same. Looks like it is just not able to find any the UI elements at all. I have also try older versions of Appium included 1.3.1 which is used in your article. Still the same result. Am I missing anything? Thanks in advance! Hello Thomas, first thank you for your comment. I have not tried the latest Appium version. For the last 2-3 months, I am working on API automation. 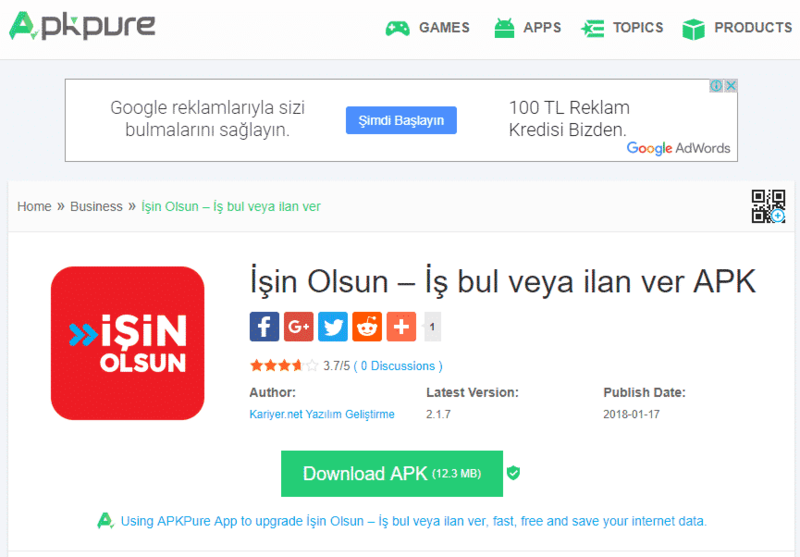 I highly suggest you try another application rather than IsinOlsun apk. In APK Pure you can find many apks. If the result is the same then we will talk again. For the İsinOlsun app please recheck the activities and try different activities for fire-up. Maybe the team has been changed some stuff in the app. I don’t know the latest status. I am not head of İsinOlsun IT team anymore. Thus, I don’t know the latest details. I have finally made it working! I tried with other apps too and same error. So I googled a bit and found that it seems to be a bug introduced in the latest Appium. https://github.com/appium/appium/issues/10874. 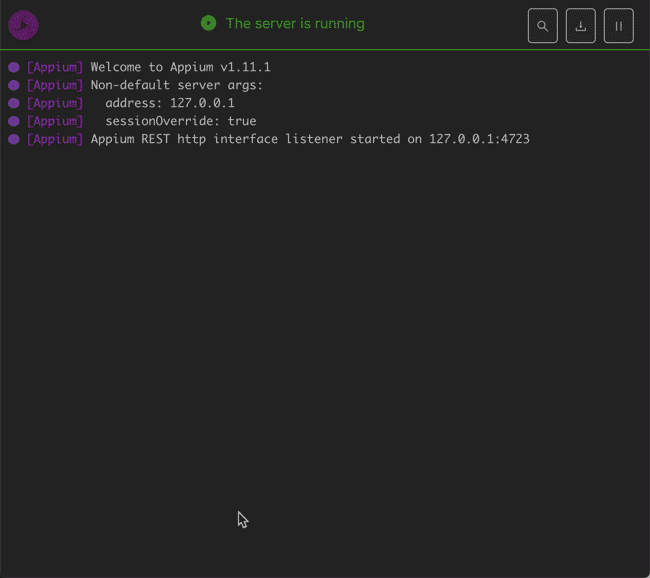 Finally I found that Appium Node.js ver 1.8.1 works perfectly for me. Hi Thomas, I am happy to hear that you are on track. Thank you so much for letting know that bug with us. 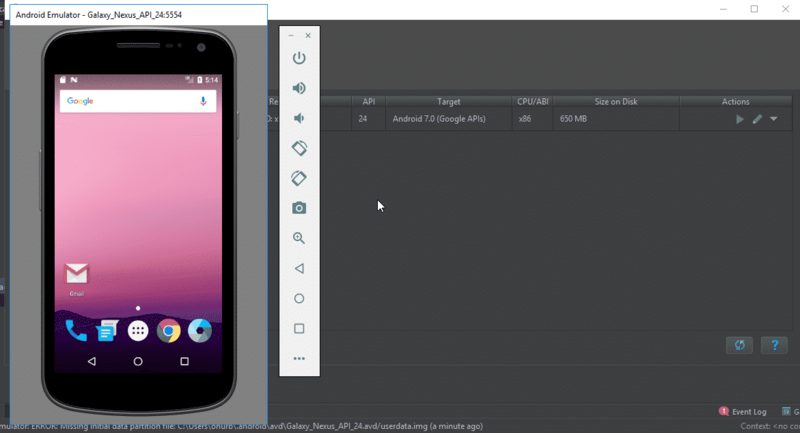 1) And then add ANDROID_HOME variable and its path should be Android SDK’s path. Also, check your JAVA_HOME variable. JAVA_HOME should equal to JAVA SDK’s path. 2) Then, you need to add required Android tools and JAVA JRE paths to your system path as shown below. 3) After that, check your settings and installations. Open a command prompt window and type “sdkmanager –list” command as shown below. Please do these settings carefully, restart your PC and run the command again. If you have a problem, then check your installation folders and do a proper installation. Great article that was easy to follow. I had been banging away trying to get the different components up and running. Your instructions offered great clarity. Mobile Automation here I come! I have also set sdk variables in the system variable. You should be able to edit your PATH environment variable to include that path. Hı Sukhpreet, please check this one: https://stackoverflow.com/questions/41337336/android-studio-failed-to-start-adb I hope it helps. I am facing a problem wherein I am not able to find the elements that are within a FrameLayout, so while I run the appium script using the resource id, I get No such element found exception. Can you please tell me how to address this issue, as I am stuck with this case since past 2 months. Also tried using automation name as UiAutomator2 but still of no help. Thank you for your article, it helped me to set up my automation testing. I am facing a problem. I want to automate my test scenarios. How may I detect if my test scenario failed or passed? For example I am checking for user registration. when it finish I want to report in logs that registration finished successfully. How may I detect this? 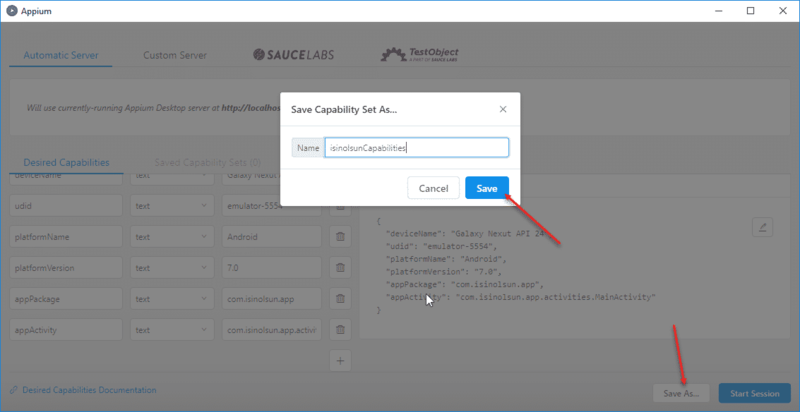 And one more question is how to restart test test scenario if application crashes? All your articles are very helpful. 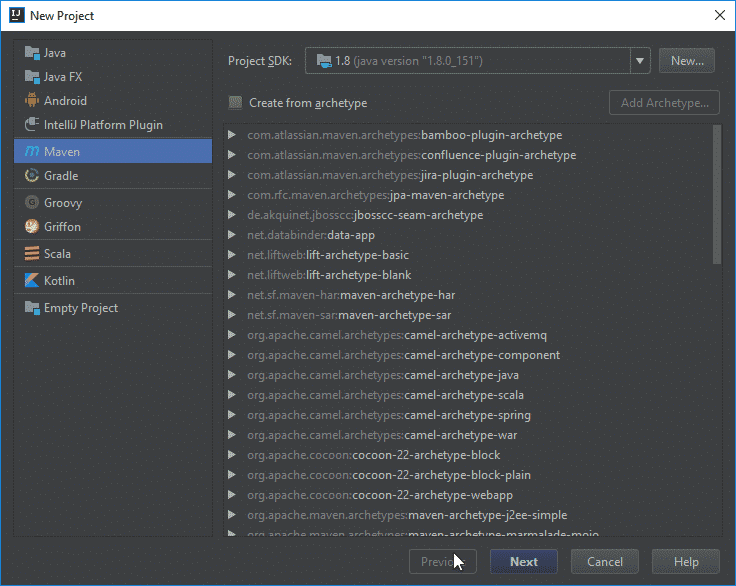 Then, sample project will open on IntelliJ. 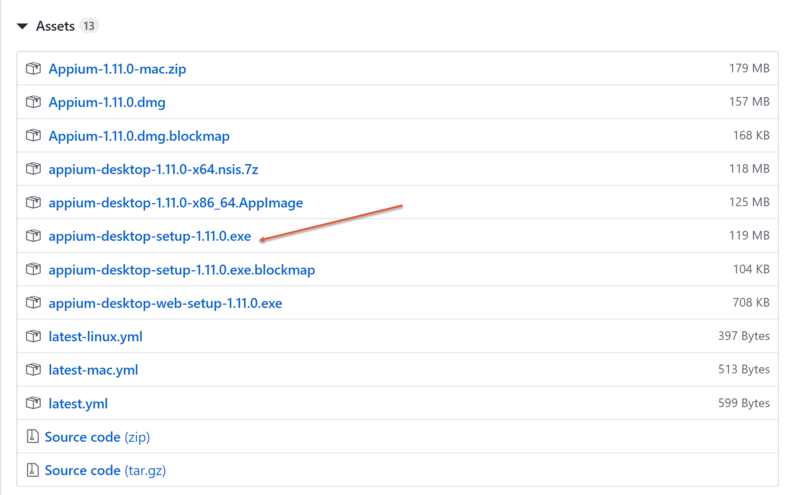 If you see, auto update maven indices just click ok. Maven will update the dependencies automatically. After these steps, run the test code. It may work but maybe will fail at clicking the second job because this app is not stable on the emulator. 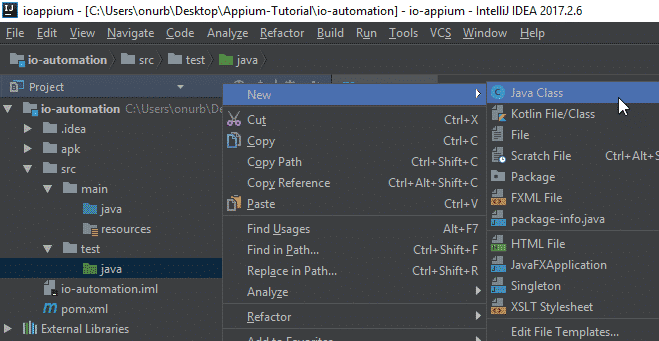 I am new to Intellij IDEA, wonder that if i develop with community version will be okay?Cause i try to use community version to do the same thing, then find out there is no auto-import for maven project. 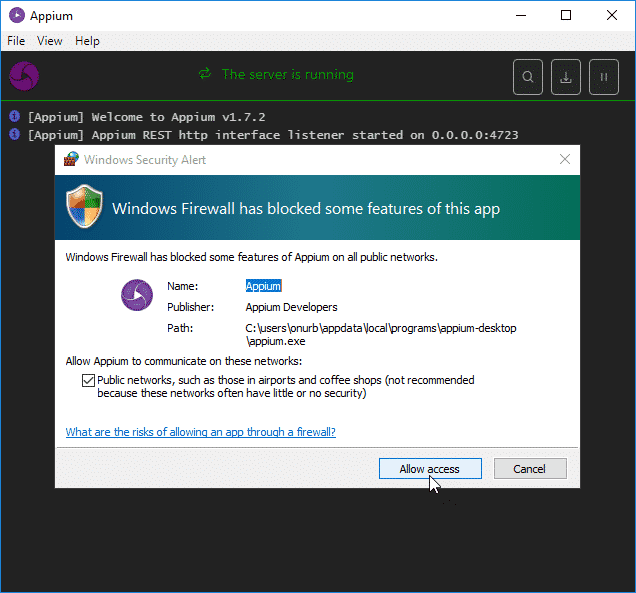 Can you post a tutorial on how to integrate Appium with the latest visual studio? I already have a project but I don’t know how to start integrating it to my visual studio. 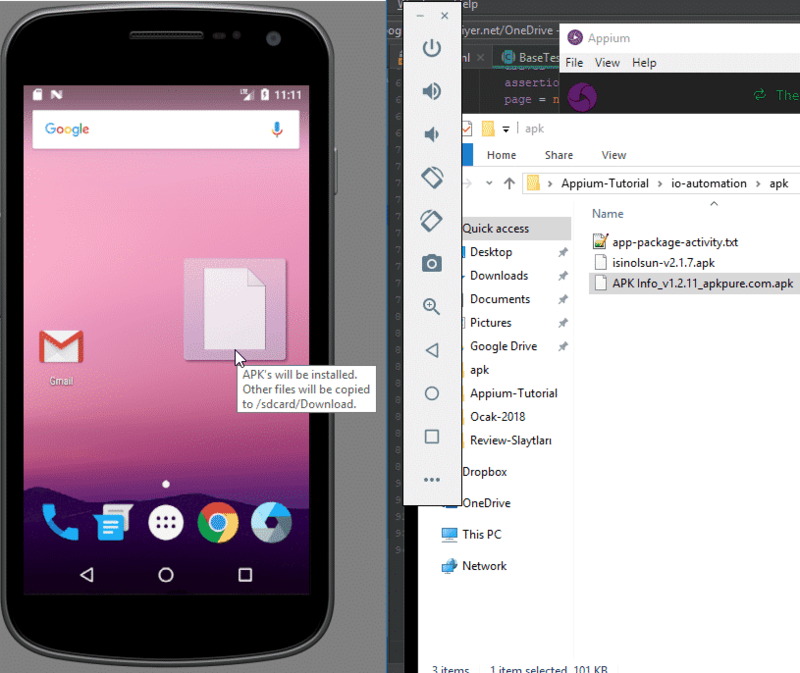 I already installed Appium desktop and Android studio and already connected it (I followed your steps above). My bad, what I mean is Visual Studio Code. Oh I am using IntelliJ. 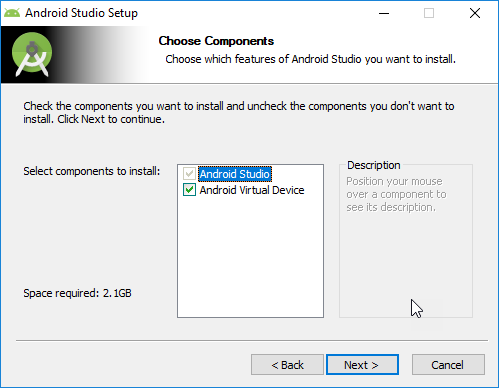 I have visual studio code but I am not using it extensively. I am getting this error. Kindly help! Warning: File C:\Users\anmolagarwal\.android\repositories.cfg could not be loaded. Could not parse error string. I’m getting this error. I copied your codes above. It may be a local problem. Better to investigate based on below links. How can I find element with just a class and text element? You need to put a breakpoint at that step. Then evaluate expressions that you are passing to find the problem and solution. By the way, maybe the app has been changed. You can try to write tests for other applications.